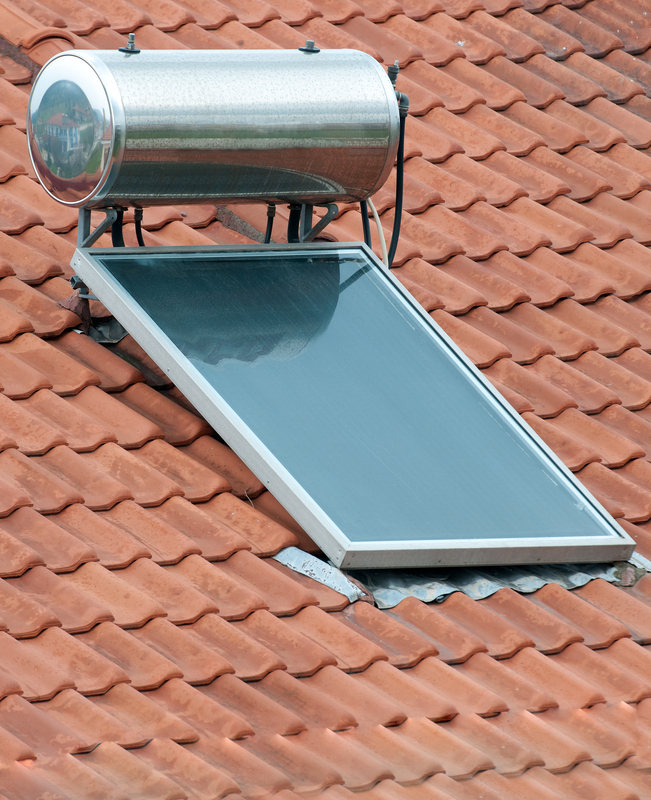 Once you saw the savings from your solar hot water heater, you started singing its praises from the rooftop. But like any appliance, your system needs a little regular TLC to perform its very best—and to avoid problems down the line. Issues with solar hot water heaters can have some grave consequences indeed—this is your roof we’re talking about here. To keep yourself in the clear, it’s best to inspect your device every one to three years, and give it regular cleanings. Here are some of the most common issues and what you can do about them. Stains on your roof or rust on your system’s joints—these are signs that your system is being degraded by water infiltration. While almost all systems are built with water-resistant parts, over time, certain components can begin to corrode. This leaves you vulnerable to aesthetic issues—like stains on your roof. But it can also subject you to performance problems like leaks and reduced pressure. One way to prevent these kinds of issues is through vigilance. Regular inspections of the internal parts, particularly the connections around the expansion tank, can rule out problems with corrosion before they become massive problems. You should also keep an eye out for discolorations and stains on your roof. Typically, these indicate that a component or joint has a leak . Fluid leaks frequently occur around pipes, ductwork, valves, and wiring, where mastic can wear away throughout the years. Although corrosion occasionally occurs from the electron transfer process where two different types of metal are touching, in a well-designed system, this should not present a problem. Therefore, if you see any stains, have a plumber or installer out to visit right away. If you live in an area with hard water, your system has the potential to clog due to mineral deposits in the water that build up over time. In the plumbing world this is known as “scaling,” and it can definitely put your system out of commission. To avoid this issue, you can add a water softener to your water, but you should be aware that using a softener could potentially speed up the corrosion of any sacrificial anodes in place in your water tank. While you should always have these anodes inspected, you may require more frequent checks if you use softeners. As an alternative, you can run a solution of white vinegar and water through your system every few years to keep buildup from taking you down. If you live in an area with very cold winters, you likely went with an insulated tank with an antifreeze solution to keep water flowing throughout plummeting temperatures. However, this solution requires regular checkups, since it can degrade over the years. Make sure to hire a professional contractor to inspect your system every three to five years, and replace the antifreeze as a part of their maintenance. While you’re at it, the insulation around your pipes could use a little regular TLC, too. There’s nothing worse than a burst pipe on your roof, so make sure inspectors check over all the insulated pipes connecting to your collectors. That way, you’ll rest easy knowing that all the insulation is in fit shape. 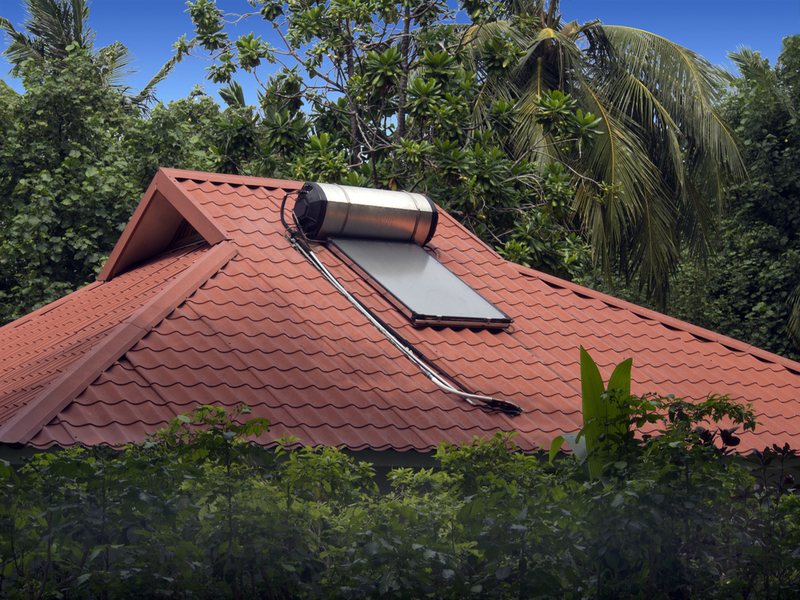 It’s imperative that your solar hot water heater and collector stay in tip-top shape, especially since the collector plate is probably located on top of your roof. As you can likely imagine, a loose bolt or faulty wiring here could have disastrous results. Again, regular inspections can save the day in the event of a loose connection. Supporting mounts and racking should be tightly fastened to the roof, with the flashing below intact. Wiring connections should be checked over as well to avoid fire hazards. Pipes and valves should not be loose, and they should display proper pressure levels. Flat plate collection systems may gather dust, dirt, and grit over time, which can prohibit water flow and, by extension, the unit pressure. Collectors should be cleaned out from time to time, particularly if you live in a very dry climate prone to dust. Typically, a professional can be called in to do this work for you, especially if your collector plates are mounted to your roof. But you can do it yourself using soapy water and a cloth—just be sure that the heat is turned off before you begin. In the end, solar hot water heaters are just like any appliance: they need regular tune-ups to prevent operating issues and breakdowns. So just inspecting your system once every year can keep a lot of the biggest problems at bay—and a little maintenance is definitely worth it to get free heated water year round from the sun!